Finding the right CDL truck driver job can be a long haul. Let Drive My Way do the work for you! 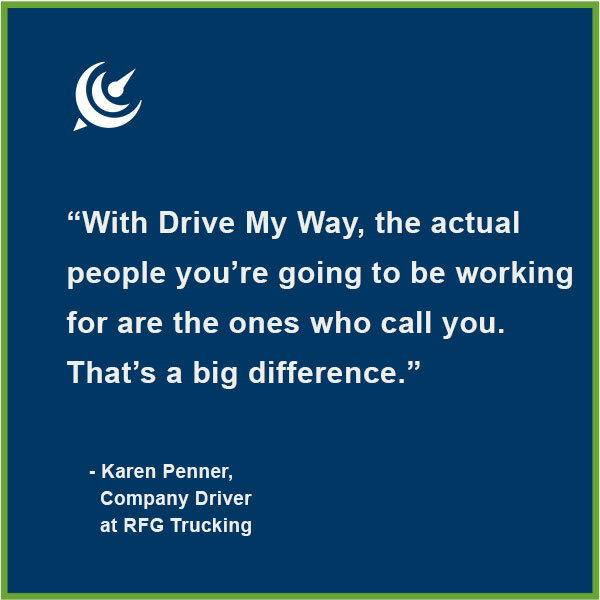 Choose what you want in an owner operator or company driving job. Then let us take the wheel and filter through job postings to find it! Complete your profile. This single profile will be used for multiple opportunities so make sure to enter in as much information as possible. Choose from 23 preferences, such as schedule, location, benefits and other perks that are important to you in a job. Let Drive My Way match you to the right employer! Once you have completed your profile our Match My Way technology begins matching you with the right employer on a scale of 1 to 10, with 10 being your perfect match. Employers will be notified that you are a match for the job and can invite you to apply through our site. Or you can apply to your matched jobs directly with a click of a button! Not finding what you are looking for? Search confidentially and apply to any open job in our database. Registration is free for drivers!